The Canon i-SENSYS MF-421dw printer model is a multi-function printer that works to produce lab-like, professional-looking printouts with every single page. It brilliantly blends speed, durability and quality so that you obtain the print in promptly. It helps you save a lot of time and ensures that productivity and efficiency are not compromised in any way. It works seamlessly to cater to the printing needs of SMEs as well as small offices. Owing to its large, colour touch screen, the printer is easy to operate. The i-SENSYS MF-421dw Canon printer features prompt printing speeds of up to 38 ppm. In addition to this, it provides high quality print quality of about 1200x1200 dpi. It features improved flexibility as well as varied media support. The printer includes a 5” LCD touchscreen and enables wireless, mobile printing. Its print technology consists of a dye-sublimation thermal transfer printing system. 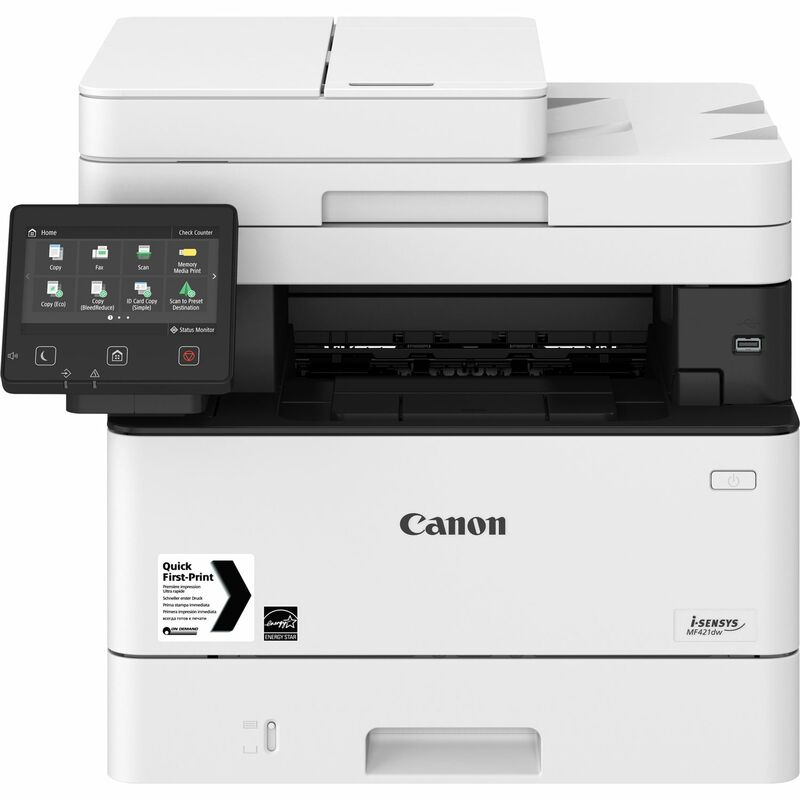 The Canon MF-421dw i-SENSYS includes print, copy and scan features, it prints and copies in monochrome only. Its product dimensions are 46.4x39.2x45.3 cm and it weighs 16.9 kg. This printer supports a wide range of mobile devices, including AirPrint and the Canon PRINT Business app, it is also Google Cloud Print ready. This i-SENSYS model includes a secure PIN feature that permits employees and employers to obtain the best kind of control over print jobs. Its customised interface makes it easy to use and master. It offers fast printing speeds that go up to 38 ppm, and it never fails in delivering professional, high-quality, precise and vivid-looking texts and images. As it comes with a security function, it allows you to send documents remotely, but you can print only when you are present near the device. This helps to ensure confidentiality. This Canon printers features need to be understood systematically before you begin the printing process.